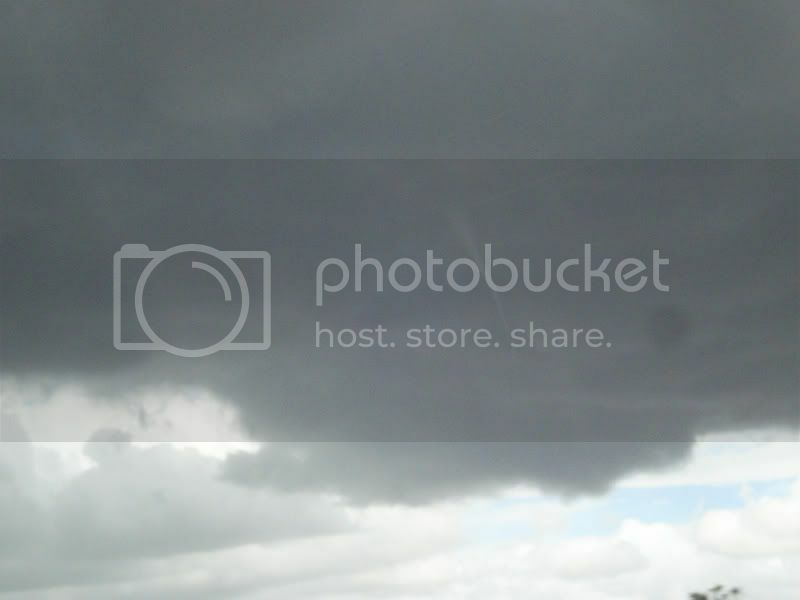 Today I was shown a photo, taken by friend, of a funnel cloud near Dalby on the 4th of Febuary. I believe this photo was taken around lunch time. I was actually quite suprised so I decided to make a post, there is clearly a funnel protruding from a Cu base. 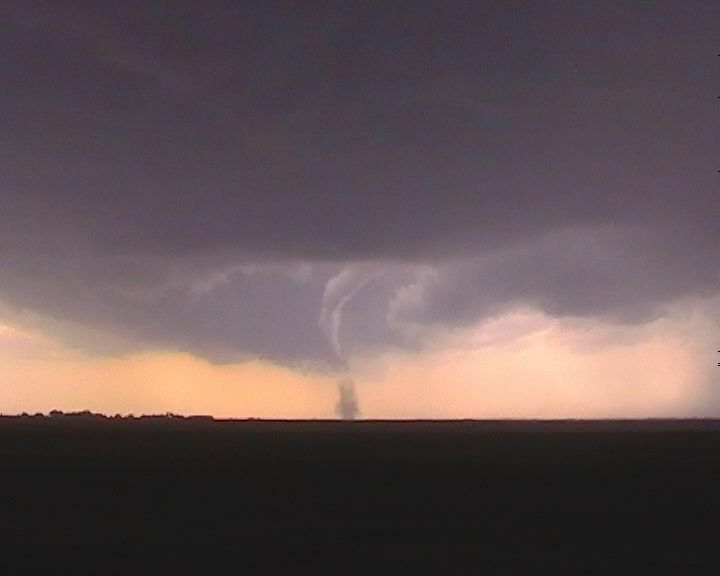 It is not clear whether the circulation made it to the ground or not so it may of been a landspout (or non-mesocyclonic tornado). Unfortunately they were driving at the time and did not stop. I would have thought the conditions on the day would not have favoured landspout formation. Looking at the Brisbane sounding shows there were deep NE'lys (surface to 700 hPa) with rich lower level moisture (surface dp 22 degrees). Lapse rates were quite poor following essentially the saturated adiabatic lapse rate. This meant that despite the high dp's CAPE was quite modest (1100 j/kg at the time of sounding). I believe landspouts are commonly associated with steep lower level lapse rates which only possible with larger T/Td speads. Dalby is at 344m and therefore the conditions there may have been quite different. I don't have the surface obs for Dalby on the day though. I'm in agreement with what you have said based on that Brisbane sounding. I think the first thing, and as you note in the last paragraph, it would be important to look at conditions (T/Td) even more locally to Dalby than Brisbane. Hard to tell much from the picture other than there being a pretty heavy cumulus / towering cumulus cover. If only they had taken the foreground with funnel, then it would have allowed some perspective. I am estimating that the funnel appears about 1/3rd way to the ground maximum. At this point it is difficult to ascertain whether it is low enough to be on the ground -I very much doubt it from the image as it stands. Nice funnel though - always a surprise.